I'll admit to still not getting it. I just got it. Ha! Good one JL. Good one. 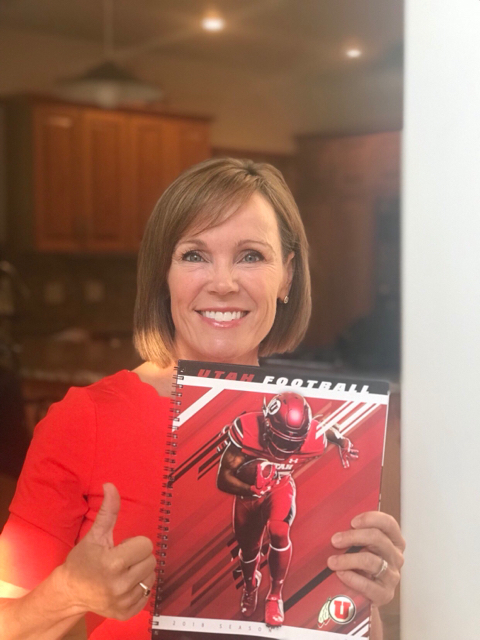 ute fans, stop doing ute fan things, dammit! Shauna Lake goes big for sweeps week! Her first job out of college was my hometown (I'd just moved to another state). Busted in a Land Rover. Broadcasting must be more lucrative than I thought. I like the, "I had a few sips...."
Is she in high school again? Those arguments didn't fly then, they won't now. I grew up in Bruce Lindsay's stake. He was a great guy and had good kids. He also lived in the upper middle class part of the stake. I imagine it's a good paying job, certainly so in bigger markets. The top anchors make good dough. The weekend, morning people, and reporters make far less. That's surprising. I would have thought the reporters straight out of broadcast journalism school would make the same or more than the top anchors. I mean "good" is relative. If you aren't in a top 10 market you aren't making welder money. If you'd like to start a "Nadine Wimmer, please stop being a terrible human being with terrible allegiances some of the time" thread, I believe that's not taken yet. Somebody's getting long in the tooth. On the contrary, this is the right thread. Nadine has finally followed the admonition of Triplet expressed in the thread title.